When couples contemplate ending a marriage, rarely does the thought of asking for annulment, instead of divorce, occur to them. 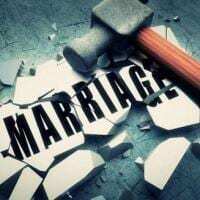 While most people have some vague idea of what annulment means, many associate it with a religious procedure intended to erase the marriage. Religious-based annulments certainly exist, but are wholly separate from the civil process that goes under the same name. The key difference between divorce and annulment is that an annulled marriage is treated as if it never existed, and a divorce simply dissolves a legally-valid union. People do opt for a civil annulment for religious reasons, but also seek this alternative to divorce to avoid extending certain benefits that former spouses are entitled to in divorce, such as property distribution. Compared to divorce, annulment is a complicated and more costly procedure that brings no guarantee a court will grant it. That being said, it may be the right choice in certain situations, and understanding how the law and courts treat these kinds of requests will allow individuals considering whether to end their relationship to make an informed decision. The marriage was a sham or fraudulent. This occurs if one party agrees to marry to gain a certain benefit, such as immigration status, public benefits, health insurance or greed. To claim a marriage is fraudulent requires one spouse to be innocent of the other party’s motives, and usually requires the marriage to fail shortly after its creation. There was no consummation. If consummation of the marriage did not occur, courts have accepted this reason to justify annulment, but it must be sought relatively early to have any chance of succeeding. Waiting years to annul a marriage is likely to preclude this option. The marriage was illegal from the start. Illegality of a marriage can be based on age, one party being already married, or the incapacity of a spouse at the time of the marriage. In this situation, courts are likely to grant an annulment because the marriage was never valid. The more compelling the evidence, the easier it is to convince a judge the marriage should never have taken place. Marriage confers specific rights on both spouses that make a significant difference in divorce. The rights of a party in a divorce are spelled out in Florida statutory law, but annulment, as mentioned above, has no set laws governing its application. From a practical standpoint, courts can and will divide property in an annulment proceeding since there is likely to be some commingling of property, but the court is not required to use a particular standard to decide which party gets what. Consequently, if possible, it is best for the parties to form an agreement on property division privately so there is more control over the outcome. In addition, Florida law automatically dissolves certain trusts, insurance beneficiary designations, and provisions in wills as an aftereffect of divorce. Annulment typically brings the same type of effect, but an experienced family law attorney should be consulted to ensure the financial aspects of the annulment are handled properly. Making the decision to end your marriage is never easy, but working with a family law/divorce attorney can make the process more manageable. The Tampa Bay law firm All Family Law Group, P.A. understands how overwhelming this transition can be, and will work to keep you informed about the legal process and options. Contact the Tampa divorce attorneys and family lawyers at All Family Law Group, P.A. in Tampa Bay at 813-816-2232 for a consultation at no charge or email us.